........was established in 1963 and incorporated in 1980. 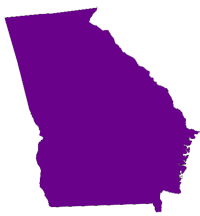 Since that time Georgia, which comprises 41 chapters and more than 1000 active members, has established itself as the largest and most productive state organization within the 7th District. This district also comprises the states of Alabama, Florida and Mississippi. Through its myriad of programs, hundreds of youth from throughout the State of Georgia have received financial assistance, competed in the annual state wide talent hunt program, and gone on to attend colleges or universities throughout the state and this nation. In 2001, the state organization established a nonprofit foundation to help Omega better serve the communities in the state by allowing individuals and corporations to make tax-deductible donations. This non-profit entity of the state organization acts as the scholarship and educational funding arm of the state organization. The foundation positions the State Organization and Omega for the 21st century to make an even greater impact in our communities.